For the last few years Luke Lavan has been undertaking research into everyday street life in the 4th to 6th centuries AD, focusing especially on the Mediterranean where both archaeology and literary sources have much to tell us. Colonnaded street at Aizanoi. © Luke Lavan. Colonnaded streets were characteristic of the period, with a great number being built in the 4th and 5th centuries especially, notably in the Balkans and north Aegean, where they became prevalent for the first time. Throughout the period wherever monumental Roman cities survived high standards of street maintenance were also kept up. The best road surfaces (in new mathematically cut stone blocks) were laid in the Near East, whereas Asia Minor and the Balkans had to make do with paving in re-used stone. In the West, stone paving of any kind was usually restricted to large urban centres; instead gravel was more common, as it had been earlier. Yet main streets also had good sewers, water pipes, and, increasingly, oil-lamp lighting and paved sidewalks, which became ever more common. 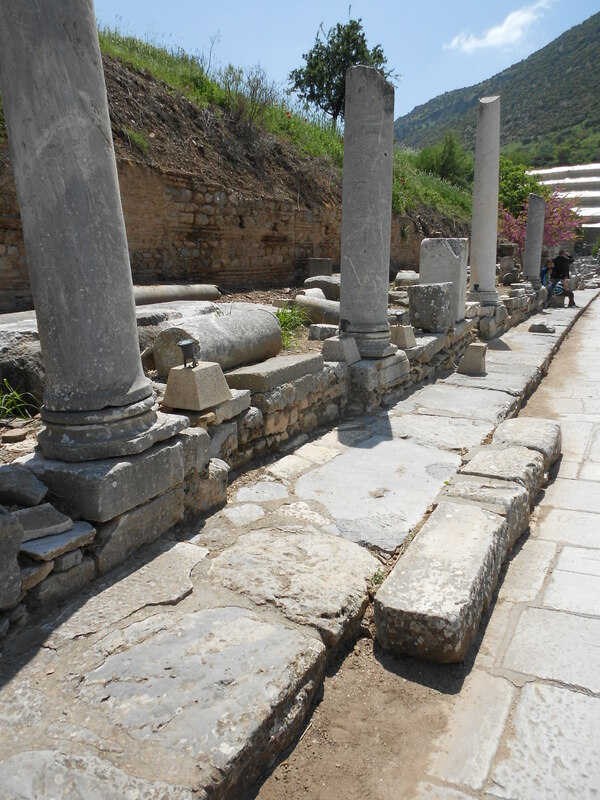 Sidewalk on a street at Ephesus. © Luke Lavan. Some main streets were pedestrianised, but not all. Busy cities such as Antioch preferred to have traffic flowing whilst pedestrians used the sidewalks. These were set beyond the porticoes, which were designed to shelter shoppers and artisans away from the roadspace proper. 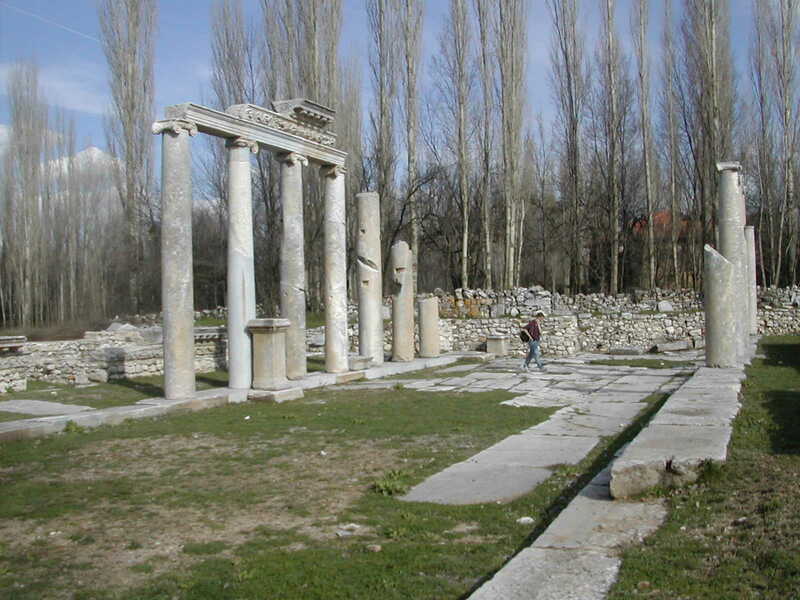 Late antique urban avenues were more than functional traffic arteries however, being equipped with drinking fountains, many new decorative monuments, and such pleasing items as professionally-cut gameboards set next to mosaic floors, which now spread along the porticoes for the first time. 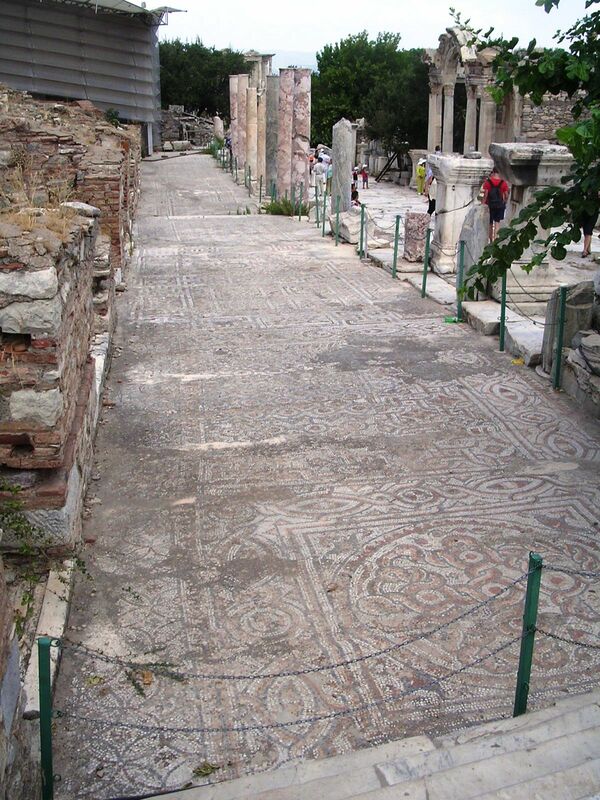 Mosaic flooring along a portico at Ephesus. © Luke Lavan. These streets formed important public spaces which saw a variety of spectacles and were considered a vital part of late antique city infrastructure. We hope that at the end of our work the primary public space that is the street will re-emerge as a significant focus in our urban image of the late antique period, as a place of architectural style, serious public investment, and vivid human interaction.